The two organizations will focus on AI research applicable in the healthcare, education and retail sectors as well as in domains such as climate change and cybersecurity. Wipro Limited – a leading global information technology, consulting and business process services company – and Indian Institute of Technology Kharagpur (IIT Kharagpur) have signed a Memorandum of Understanding (MOU) to collaborate on high-impact, industry-focused applied research in the areas of 5G and AI. Research outcomes from this partnership will be leveraged by Wipro to develop solutions for its customers across industry verticals. IIT Kharagpur will benefit from the commercialization of the joint research insights and Wipro’s real-world industry expertise. 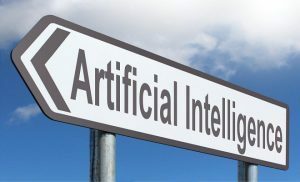 The two organizations will focus on AI research applicable in the healthcare, education and retail sectors as well as in domains such as climate change and cybersecurity. In addition, subject matter experts from Wipro and IIT Kharagpur will promote knowledge sharing through guest lectures, workshops and seminars on 5G and AI. “Wipro is delighted to partner with IIT Kharagpur and strengthen our ties with the academic research community in India,” said K.R. Sanjiv, Chief Technology Officer, Wipro Limited. Sanjiv noted that AI and 5G are critical technologies poised to create opportunities that will significantly enhance customer experiences across industry verticals. “We hope to bring together the synergies of Wipro’s rich industry technology expertise and understanding of domain-specific business challenges with IIT Kharagpur’s distinguished research capabilities to co-innovate and develop next generation AI and 5G solutions that will benefit both our clients as well as the industry at large,” he added. Student research groups are also working on Network Function Virtualization (NFV) and Software Defined Networking (SDN), which holds immense potential in 5G telecommunication. In addition, the institute is also working on foundational research in AI Algorithms, formal methods, machine learning, deep learning, graph mining and analytics, game theory and mechanism design. 5G is expected to provide ubiquitous connectivity for diverse applications such as automotive communications, remote control with haptic style feedback (using artificial intelligence), large video downloads, automation of enterprise functions and low data rate applications.